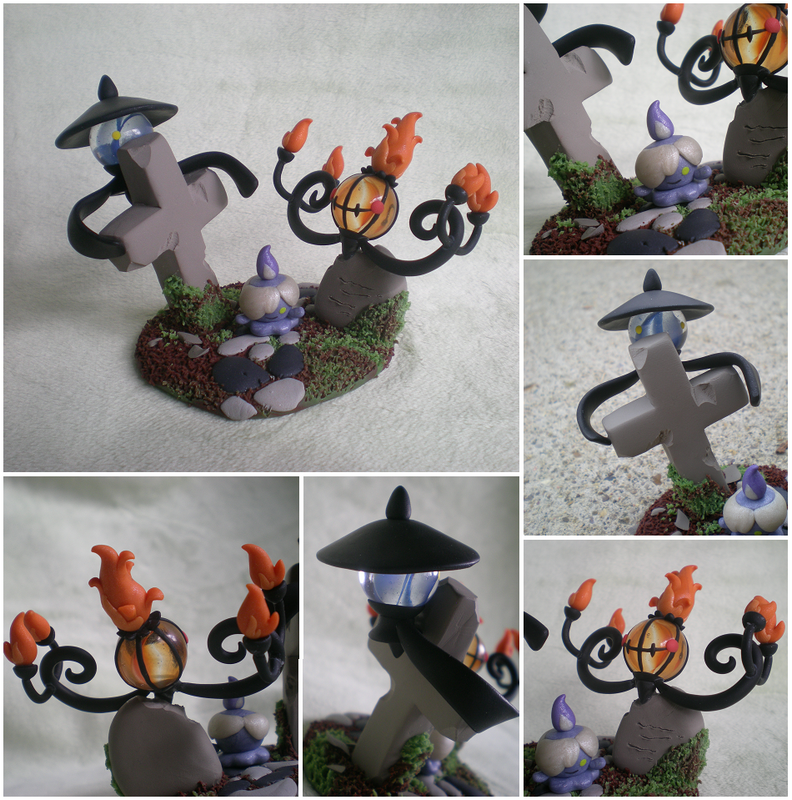 This week i'm posting this cute little sculpture of the 3 chandeler pokemon: Litwick, Lampent and (shiny) Chandelure! "This sculpture took a very long time. With the marbles, I have to bake certain parts over the marble, while others I have to superglue on. Baking alone takes about 15 minutes for one little piece, so that is where most of my time put into this went." This is truely something awesome!